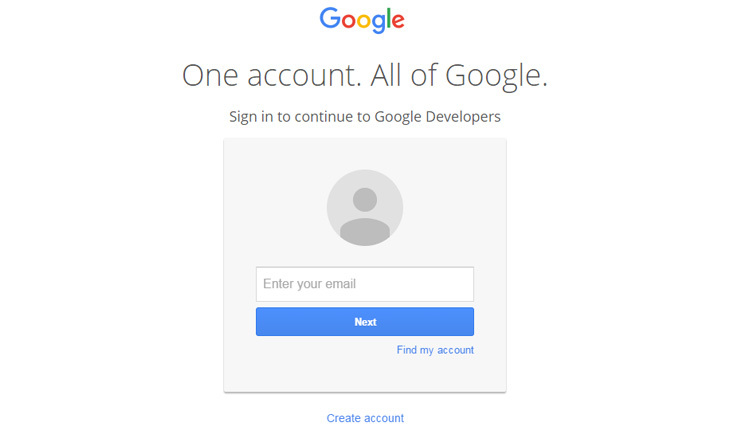 Click Sign In and you’ll be redirected to Google login page, if you don’t have an account, you should create one. 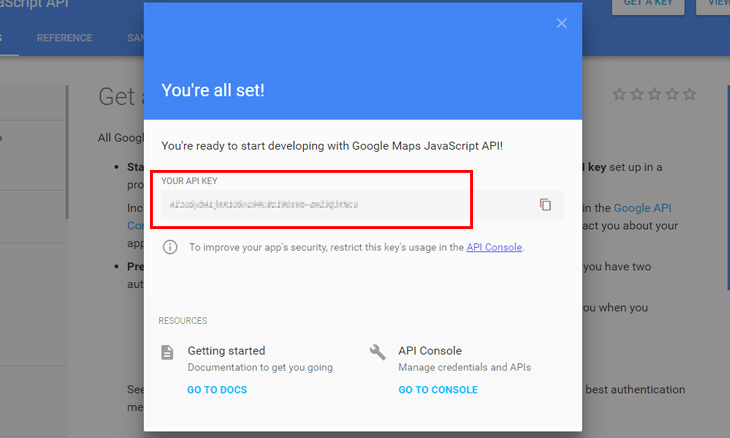 Click GET A KEY to create a new project and create a new API Key. 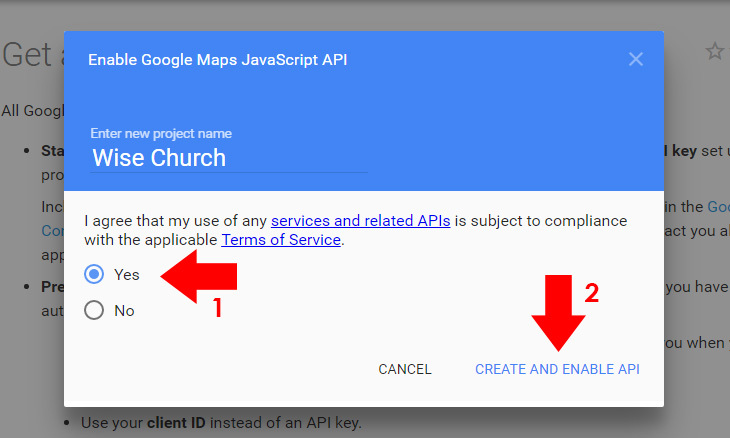 Enter your project name, click Yes, then CREATE AND ENABLE API. Copy the API Key provided for your site. 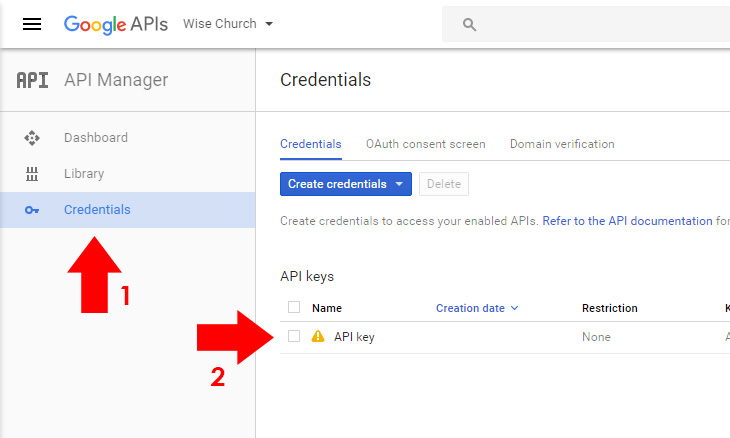 To restrict your API Key for your site only to prevent quota theft, go to Google API Console Credentials. 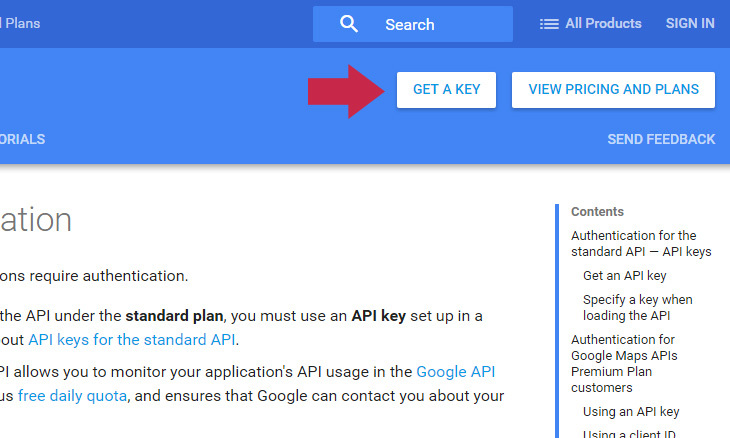 Click the API Key that you’ve created, you can rename the API Key Name to make it more organized. 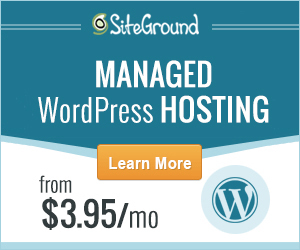 The wildcard * and /* is added to include your subdomain and subdirectories. 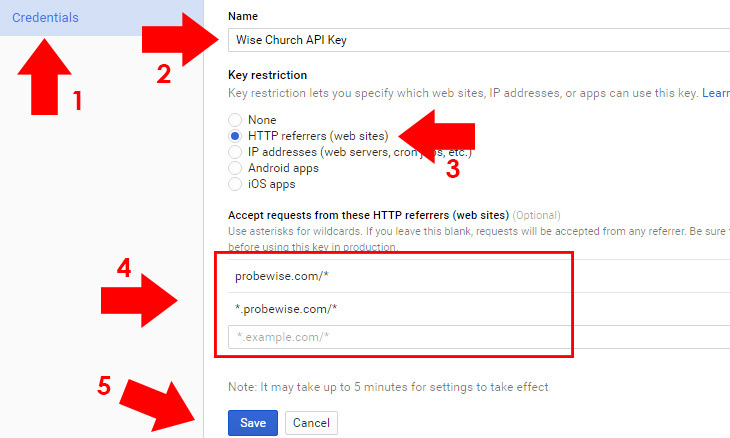 Note: It may take from 5 minutes or more for your new API key to take effect if you add restriction to your API Key. If you are experiencing error on maps, follow the checklist below. Confirm the API Key you copied and pasted is correct. Make sure your domain name matches the one you’ve registered with the API Key. A slight misspelling will prevent the maps to work. 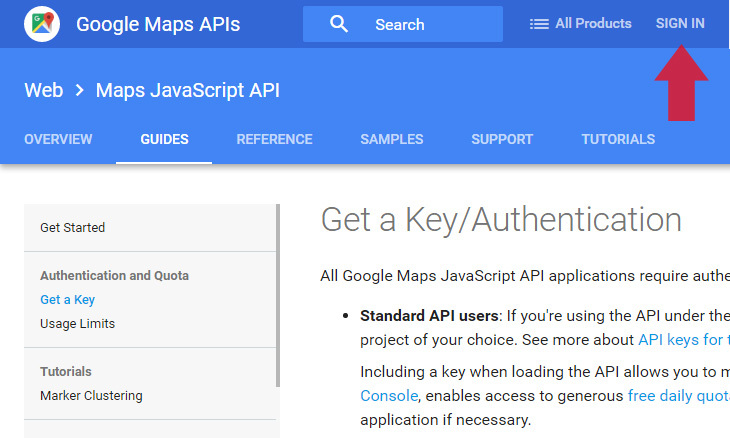 For more information about Google Maps APIs, visit Google Maps APIs Documentation page.